As a postscript to the previous entry on the judicial review arising from the STAR project please note that the Court of Appeal has now upheld the decision of the High Court – albeit with some reservations: R (on the application of London Borough of Enfield) v Secretary of State for Transport  EWCA Civ 480. 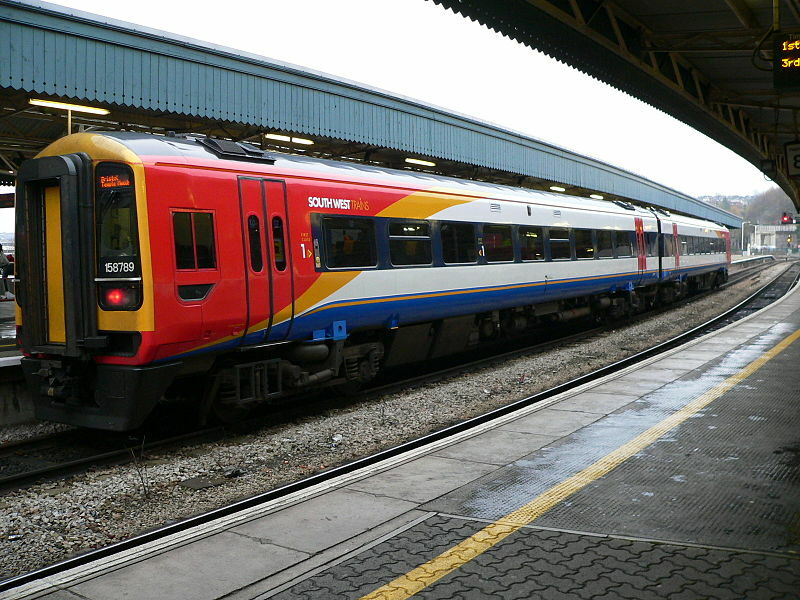 To briefly recap, Enfield Borough Council sought judicial review of the terms upon which an invitation to tender had been issued in respect of the franchise for the East Anglia Franchise. In short, the Enfield BC argued that the Department for Transport had led them to believe that operators would be required to provide a 4 train per hour (4tph) service for a new station serving the Meridian Water development – a major £2.5 billion urban regeneration project. The communications with the Department for Transport were said to have created a legitimate expectation that this requirement would be included in the franchise agreement and that the failure to include it in the tender documents thwarted this legitimate expectation. ‘Regrettably, this was an inept performance on the part of the DfT, serving to undermine public confidence in its competence and the communications of its officials’ [para 49]. It was also argued that the Secretary of State had acted irrationally in failing to take into account the economic impact of the 4tph requirement and its effect on the regeneration project. The Court of Appeal held that, whilst various documents highlighted potential for local regeneration as a consideration to be taken into account in franchise agreements in so forth, such commitments were expressed with a ‘very high level of abstraction’. In this respect they were not sufficiently concrete to form the basis for judicial review of the decision. Moreover, the Department had adhered to its standard economic modelling practices and complied with the requirements of the Public Service (Social Value) Act 2012, s 1(3). The existing Angel Road station. Enfield Borough Council recently sought judicial review of the terms upon which an Invitation to Tender (ITT) was issued for the East Anglia Franchise – London Borough of Enfield v Secretary of State for Transport  EWHC 3758 (Admin) . 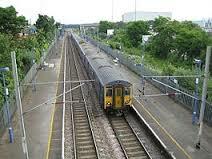 The franchise includes a hitherto neglected stretch of track from Stratford to Angel Road on the West Anglia mainline to Hertfordshire. This section of line in question is due to be upgraded and stations refurbished as part of the STAR project (a convenient acronym for Stratford to Angel Road). Angel Road is the centrepiece of the development in that it will serve the Meridian Water property development and will be renamed as Meridian Water station to reflect its new purpose; at present the station is little used and has no facilities. 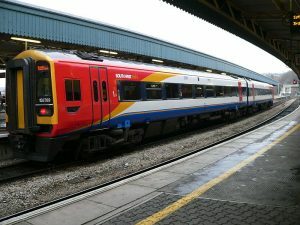 The ITT for the East Anglia Franchise was issued by the Department for Transport on 17 September 2015 but the local authority was dismayed to find that it did not contain a minimum Train Service Requirement (TSR) for Angel/Meridian station. The Defendant is empowered to set minimum service requirements by virtue of section 23 of the Railways Act 1993. Given that the station redevelopment is central to their plans for good public transport links to the new development they considered that a TSR was essential. They had assumed that the ITT would include a TSR of 2 trains per hour (2tph) until May 2018 and then 4 trains per hour (4tph) thereafter following completion of the infrastructure upgrade work. By this time it seems that the Council had spent £70m on the project although must be emphasised that most of this expenditure had already been incurred and was not predicated on the email exchanges at the centre of the dispute. At one point it was claimed that the minutes of a STAR steering group meeting held on 29 May 2014 indicated the defendant’s support of a 4tph service following completion of the development; although this does not appear to have been relied upon in support of the claim. After the current proceedings were under way the defendant wrote to the Council and stated that it had commissioned a new study into the business case for increasing the frequency of services calling at Angel Road. The conclusion was that, despite the substantial property development, there would not be sufficient demand to merit the TSR desired by the Council. In short, the Council claimed that the emails from the DoT, especially when read in the light of other emails and evidence, afforded the Council a legitimate expectation that the TSR would be included in the ITT. The judge then turned to the issue of detrimental reliance, an ingredient of legitimate expectation in most cases, and prefaced her findings on this issue by suggesting that the Department of Transport official had ‘got it wrong’ in terms of communicating the official position of the Department of Transport to the various parties involved [para 88]. He may have misunderstood the position or others in the organisation may have failed to make the position clear to him. In any event, the judge asserted that ‘I should be slow to fix the Defendant with the consequences of such a mistake.’ Thus, she would only be prepared to do so if there was clear evidence of the Council having acted to its detriment. On this point she concluded that the Council had in fact taken ‘a calculated risk’ and had already taken certain crucial steps towards the completion of the development ahead of the email correspondence at the heart of the dispute. Having decided that no legitimate expectation had not been created in the first place the judge did not deem it necessary to dwell on the issue of whether the Department for Transport had been entitled to depart from it in the light of overriding public interest considerations. She concluded that they would have been entitled to do so given the fact that the scheme in question forms just one small part of the WAML and must be balanced against by the much larger public interest considerations arising therefrom. The matter has now been appealed to the Court of Appeal.